The MC-400 HD/SD Channel Branding System represents a major evolution in the design and deployment of signal processing functionality for live and automated master control systems. The MC-400 can be used a standalone system or as part of a multi-channel master control system under the control of an MC-2020 master control network. 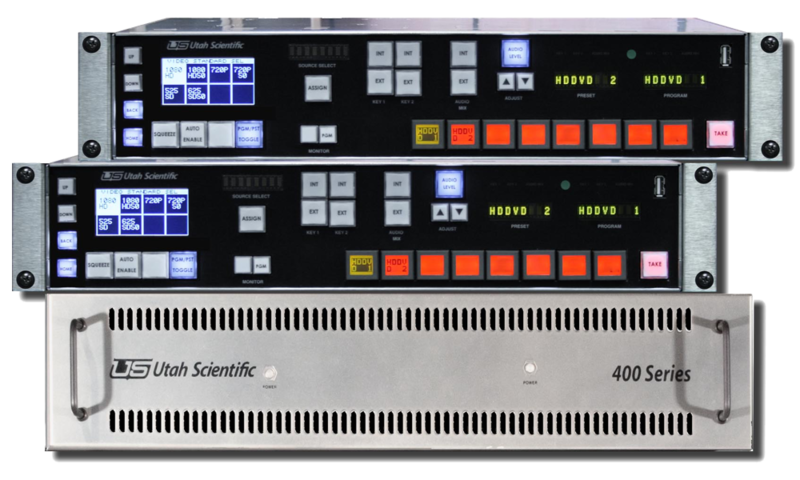 The MC-400 takes full advantage of the unique I/O flexibility of the UTAH-400 digital routing switcher by placing the signal processing electronics on a single board that can be installed in an output slot of any UTAH-400 router frame. By using this approach, the processor is given full access to every signal available within the router, eliminating the need for external connections between the router and the control electronics. The MC-400 allows the operator to change between SD and HD operation with a single menu selection, allowing the channel to be re-purposed for operation with various signal formats during the course of normal operations. To accomodate signals such as key signals that may not be present in the router, external inputs are provided for all major signals. With this flexibility, system design can be greatly simplified. The processor offers two fully independent keyers, each of which can be fed by internal or external signals or by an internal logo store. 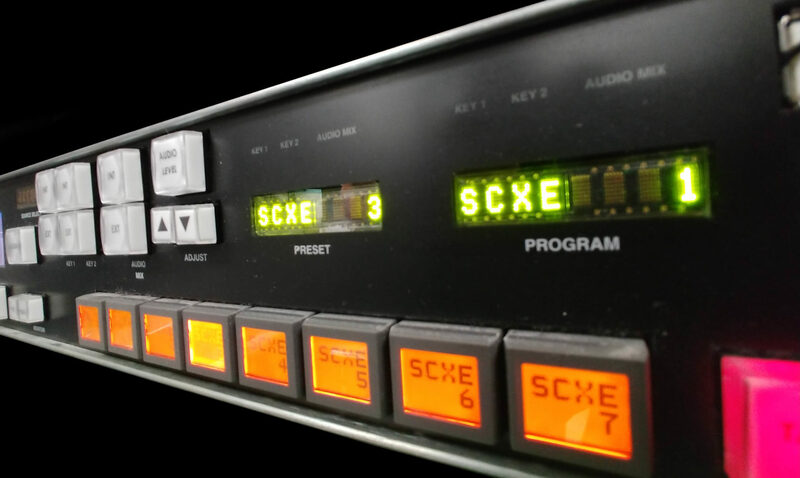 Likewise, audio voice-over mixing can come from an internal embedded audio signal, an external discreet AES digital audio signal, or an on-board audio clip storage facility. Logos and audio clips can be downloaded directly to the MC-400 or via the MC-2020 control network.